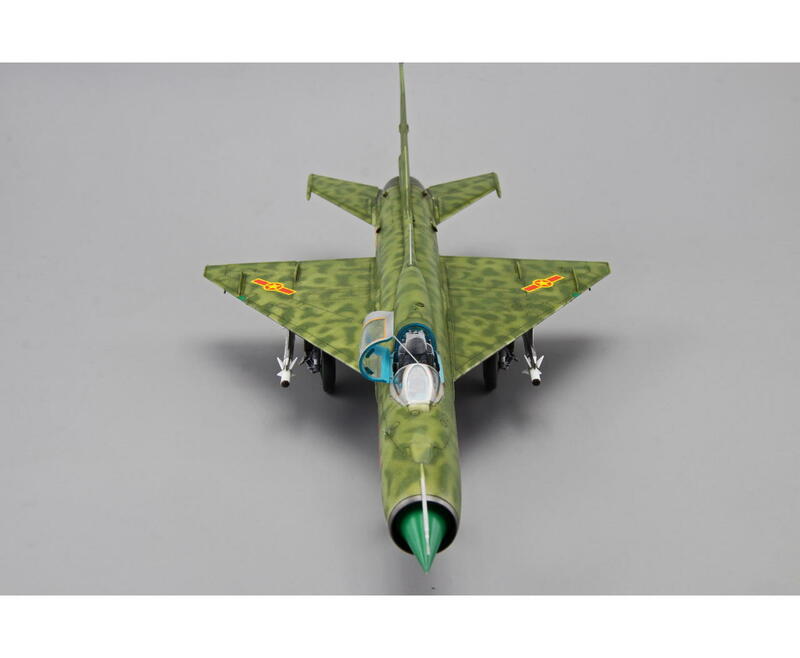 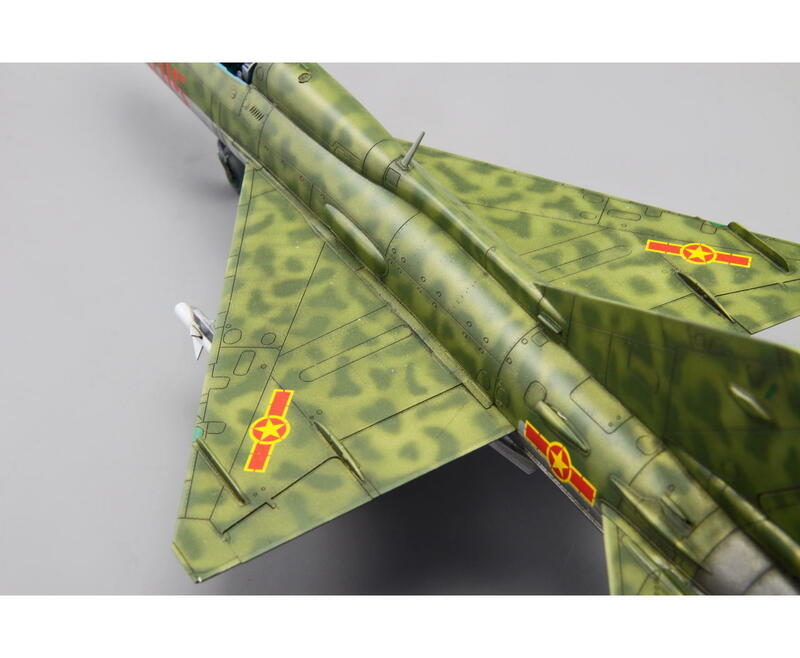 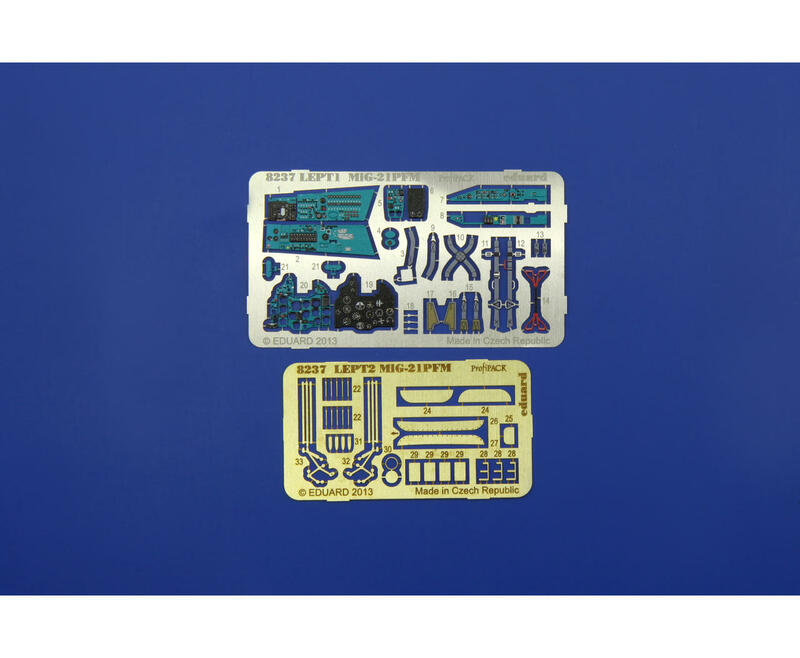 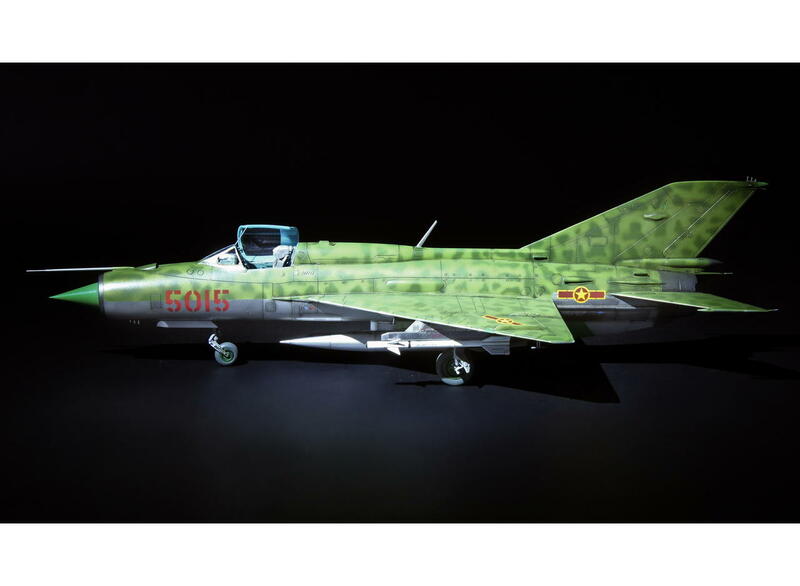 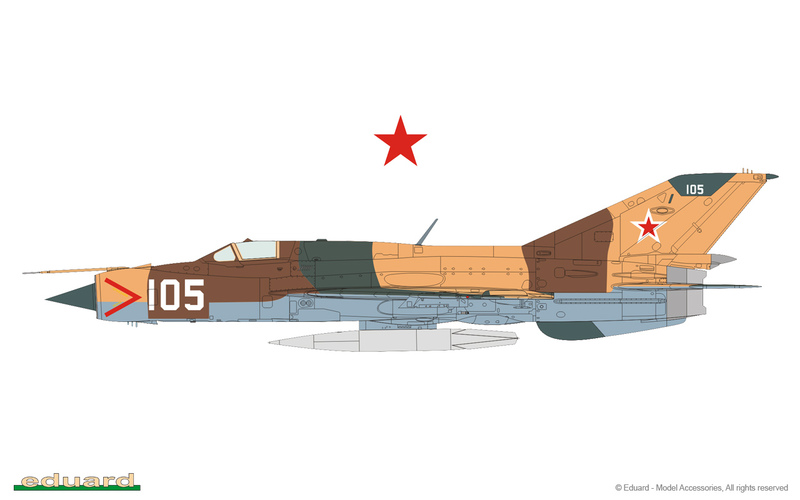 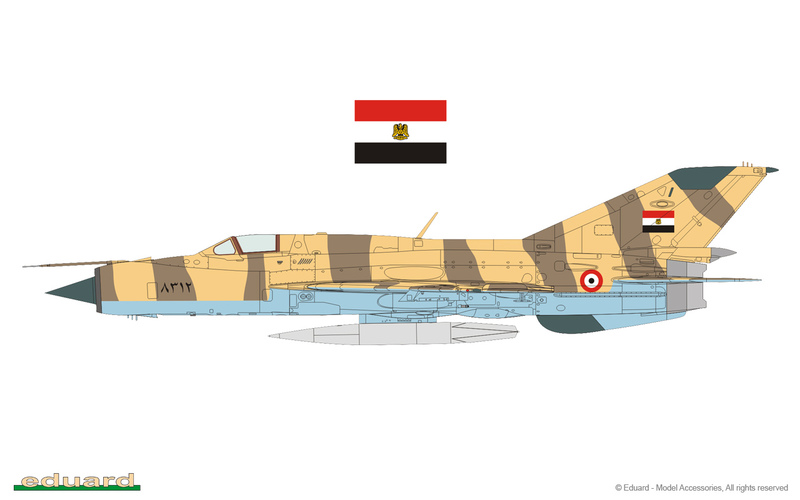 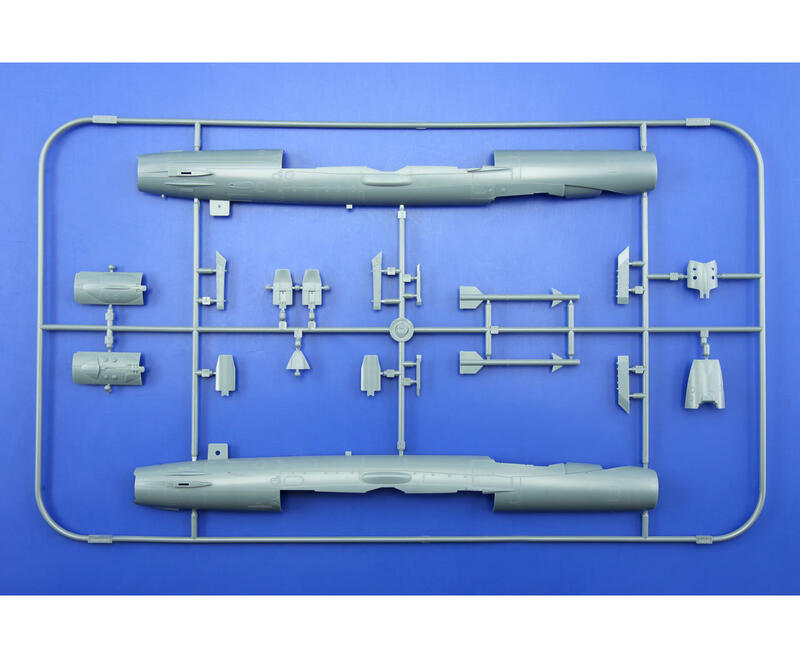 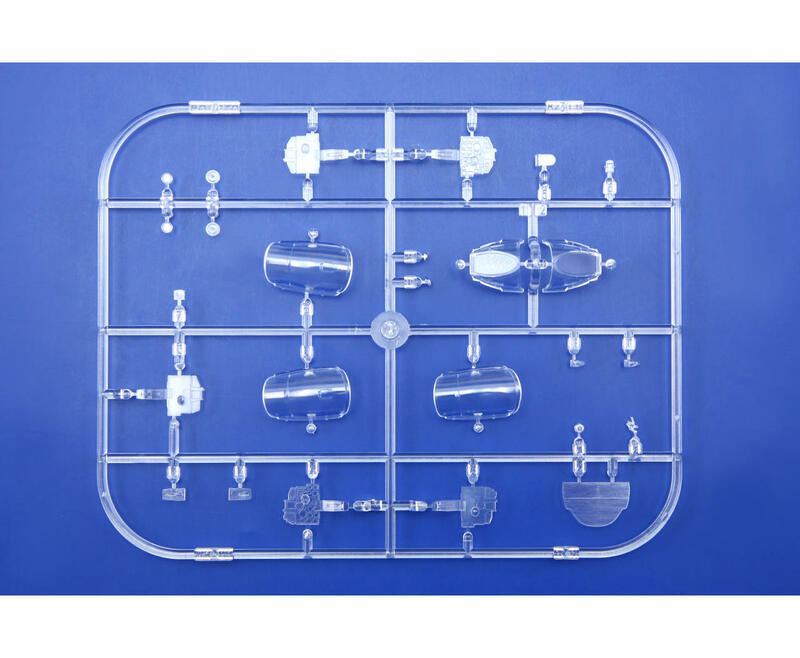 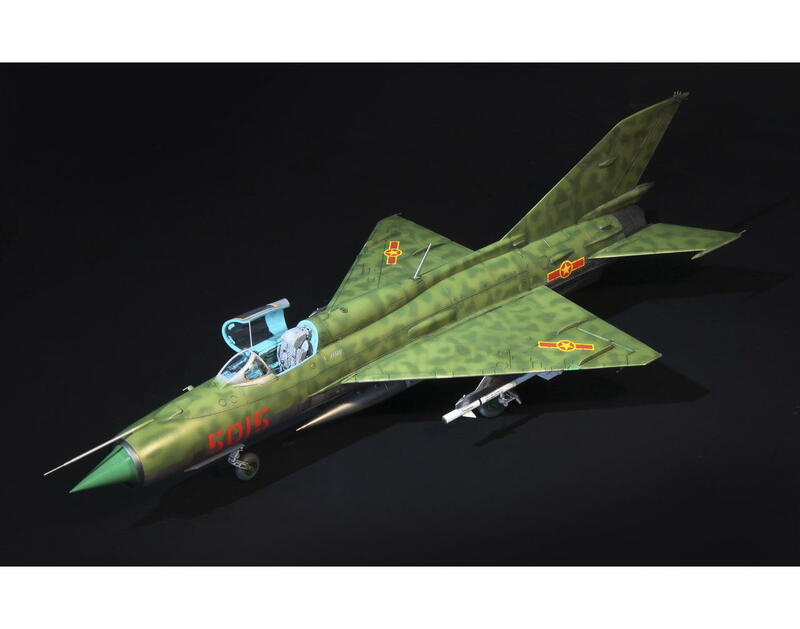 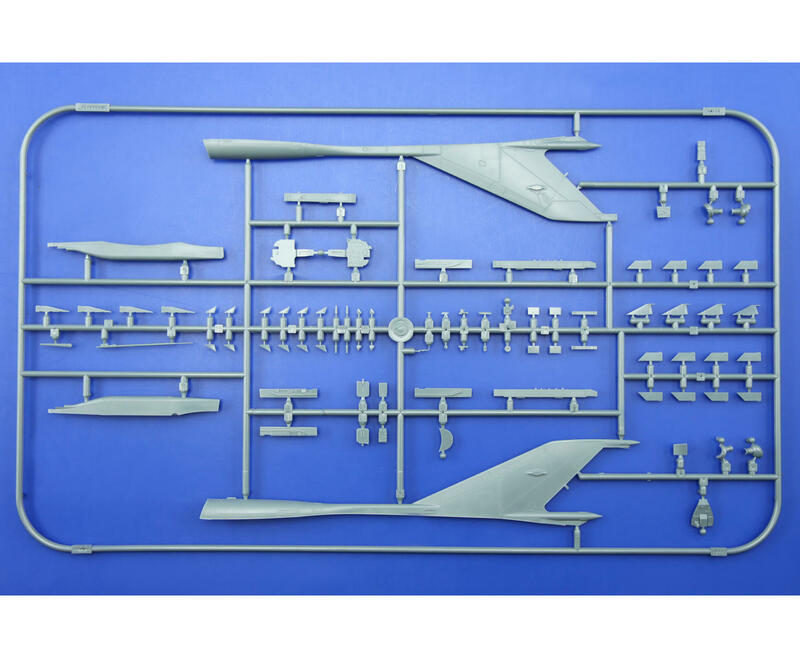 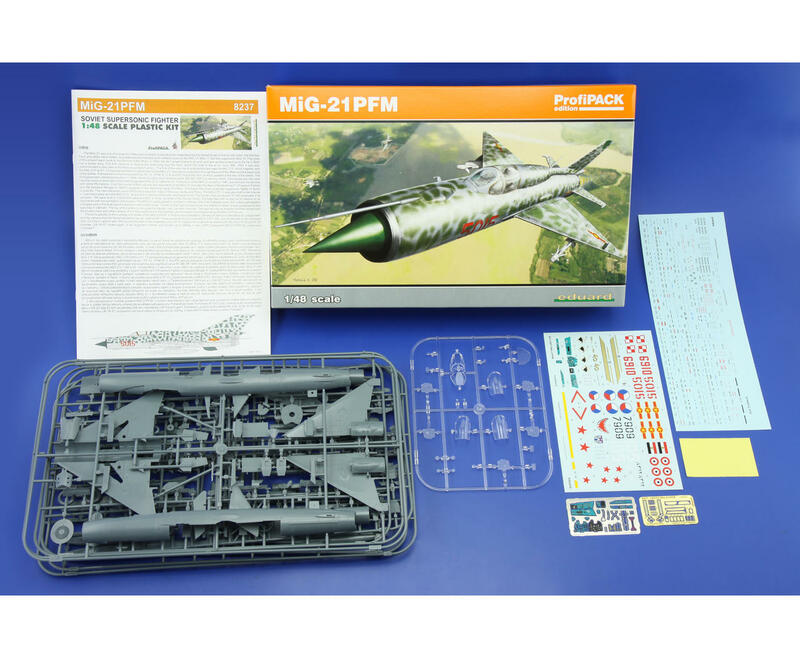 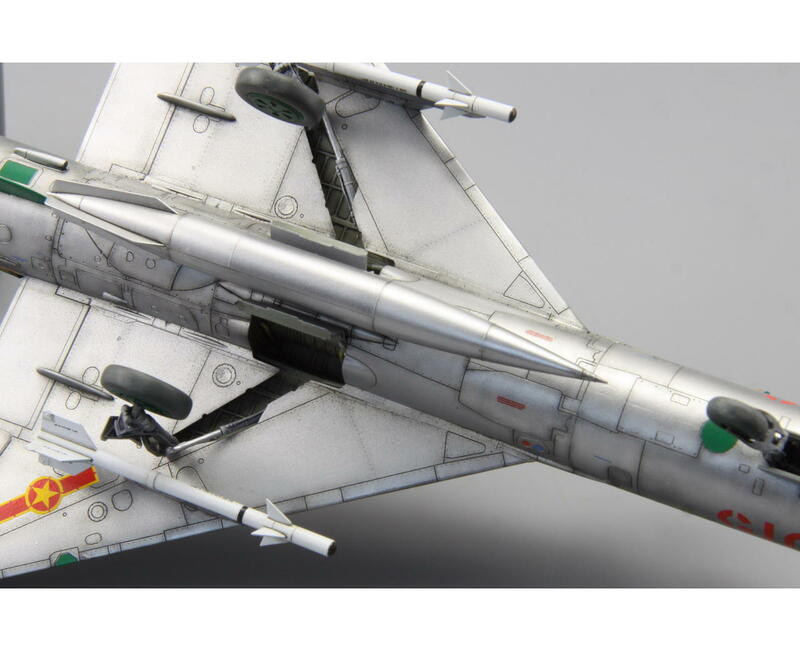 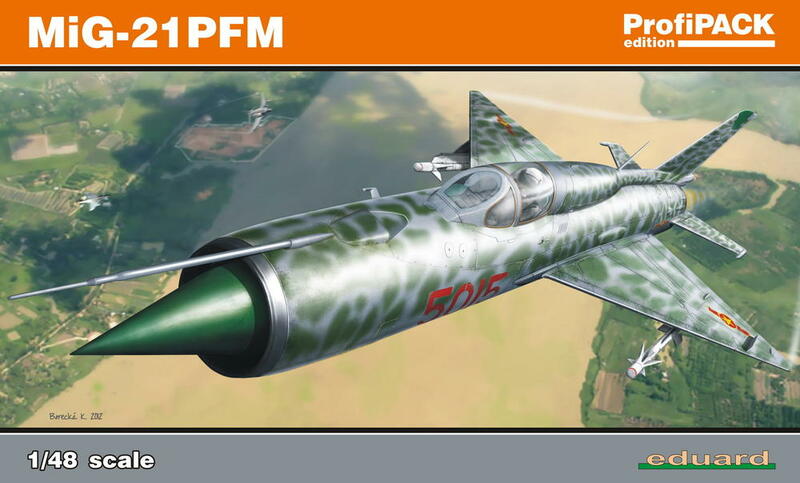 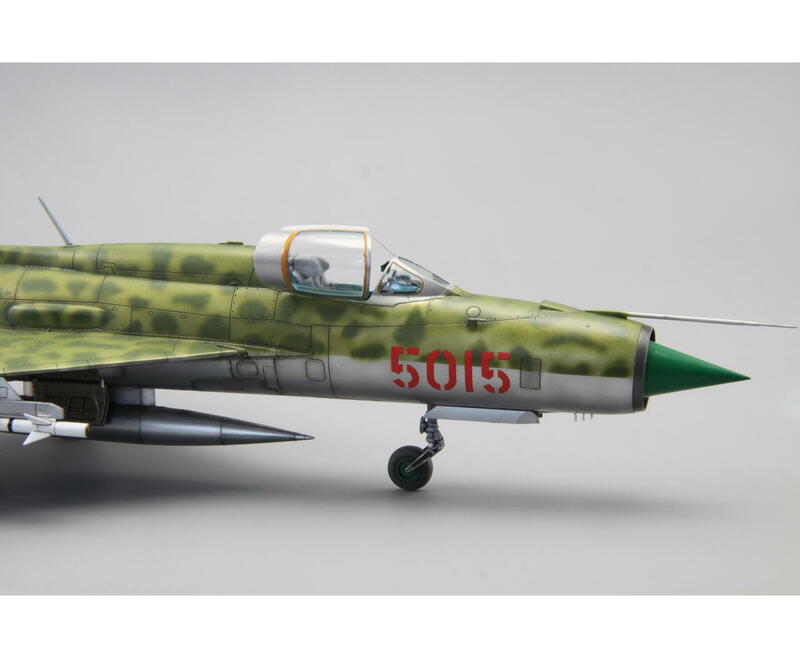 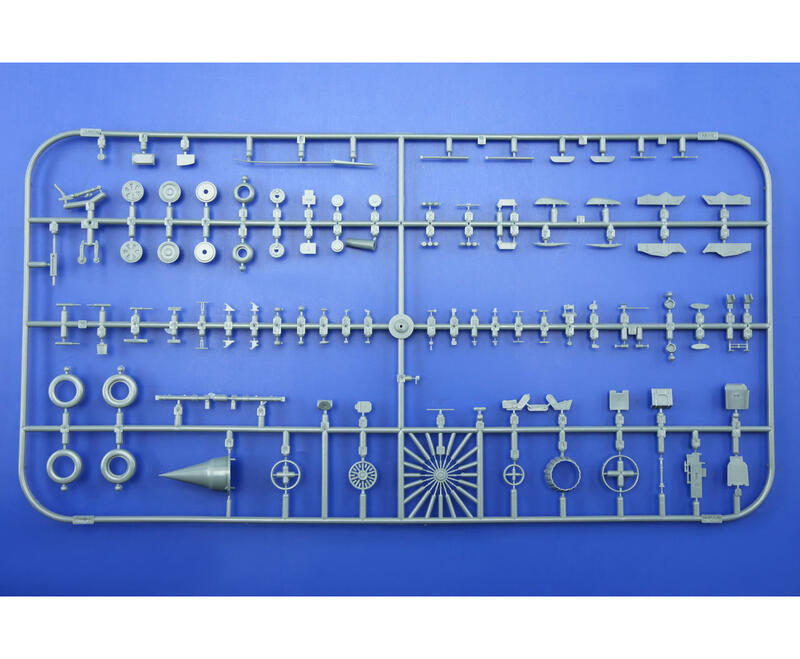 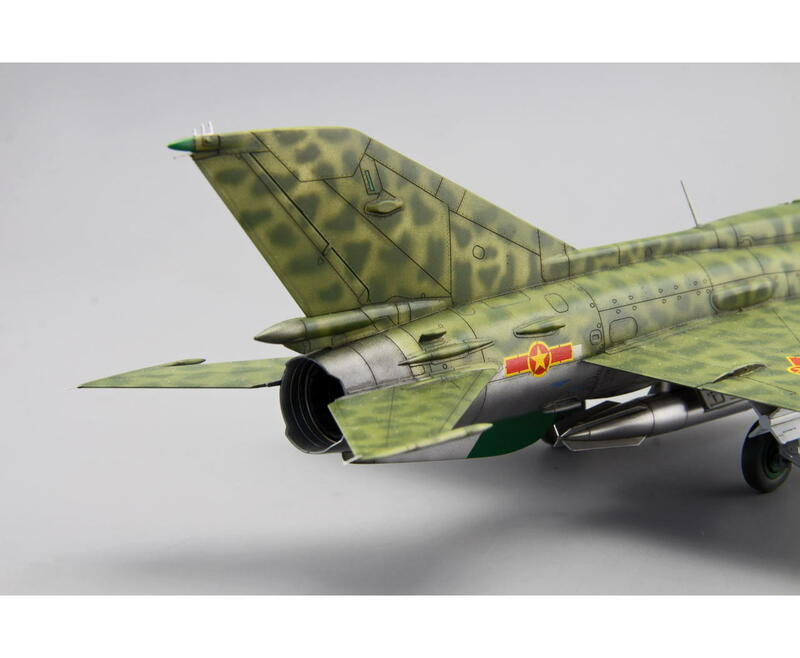 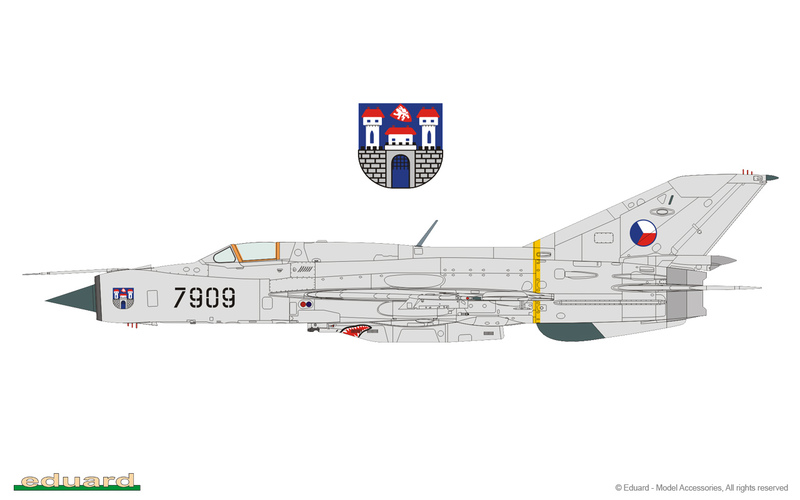 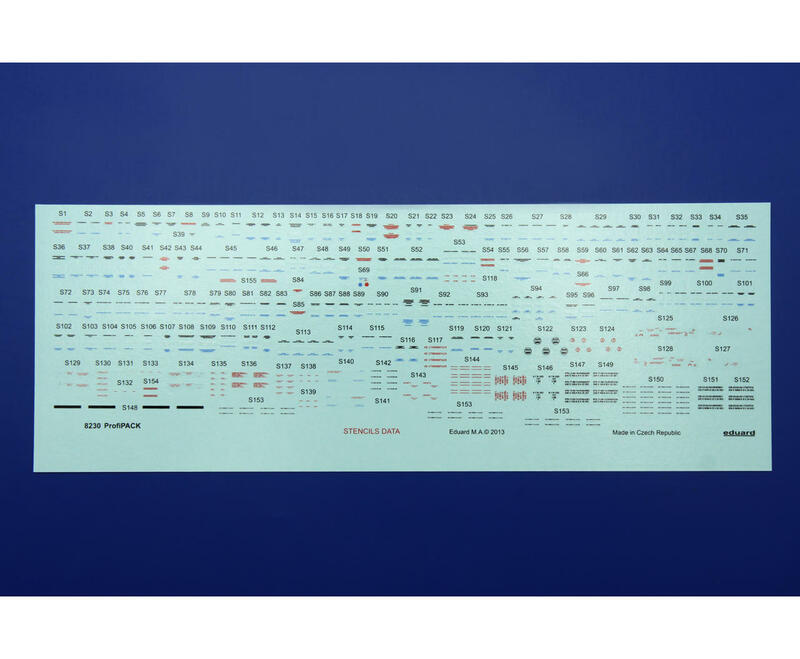 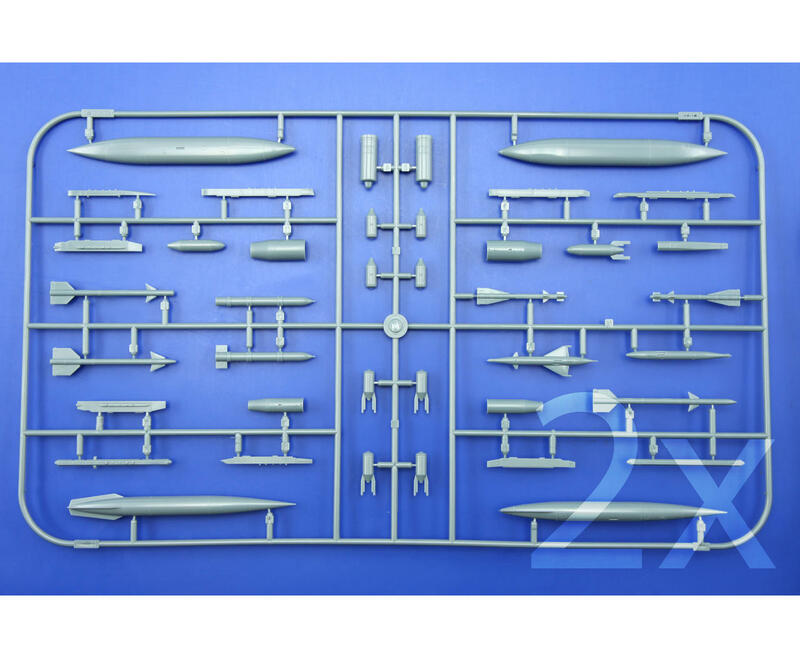 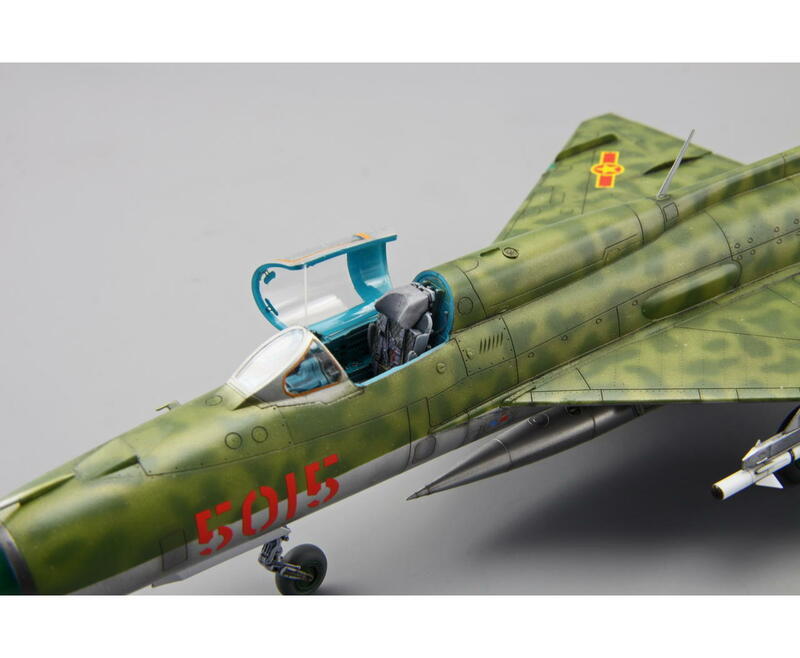 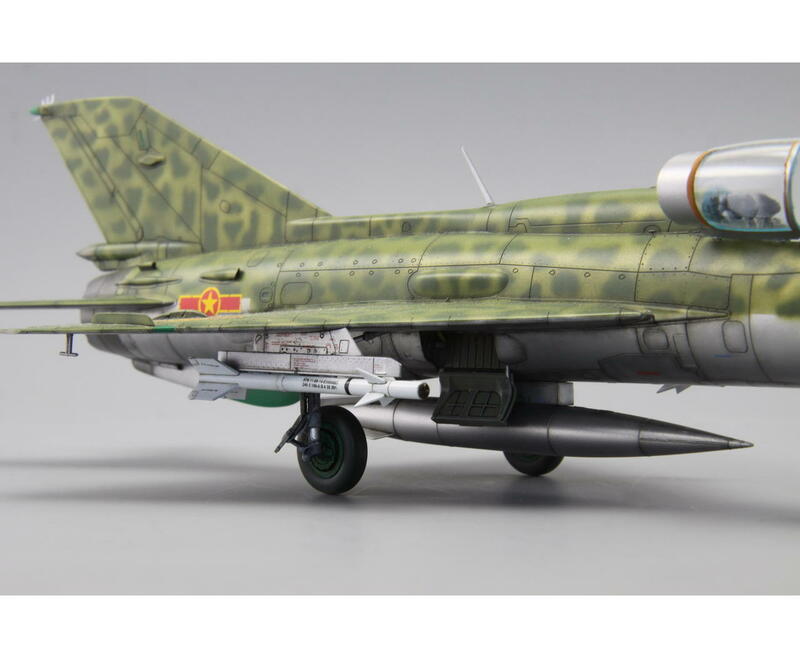 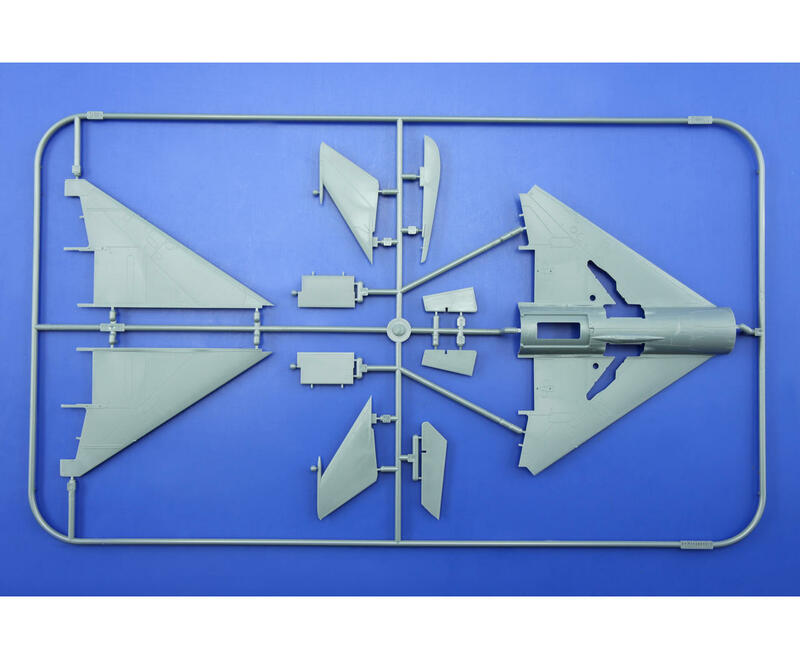 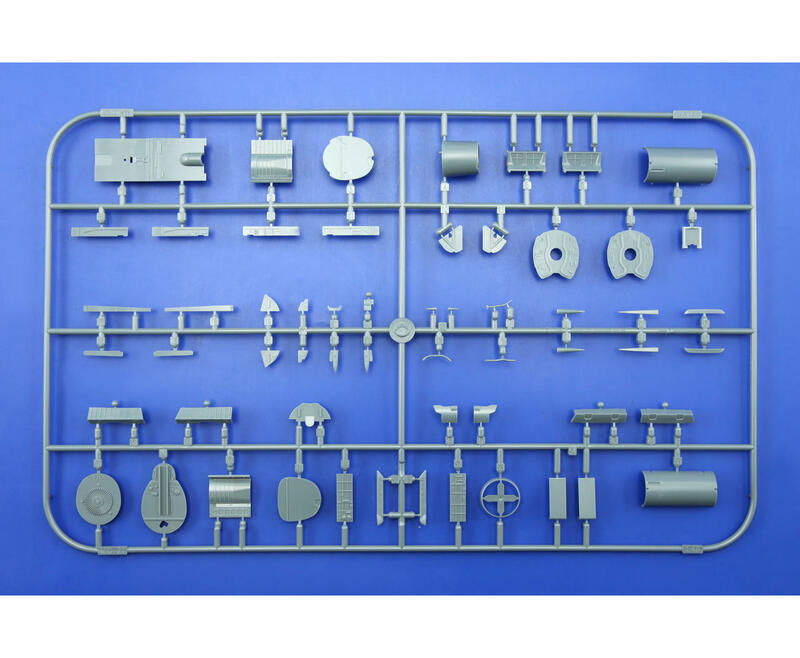 MiG-21PFM is the 1st release of another version from Eduard's famous MiG family in 1/48 scale. 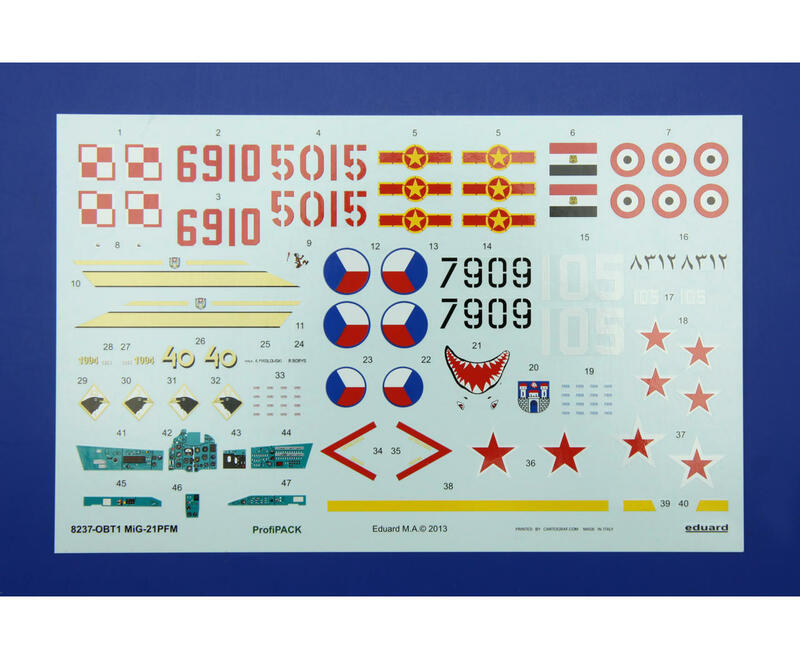 Detailed decals for five decal options are printed by Cartograf. 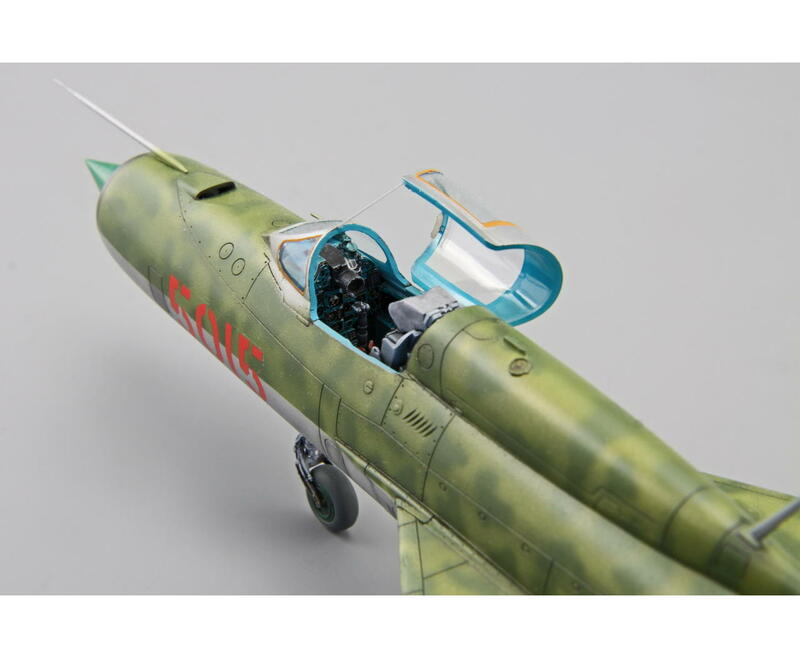 Kit contains color photo-etched details and painting mask. 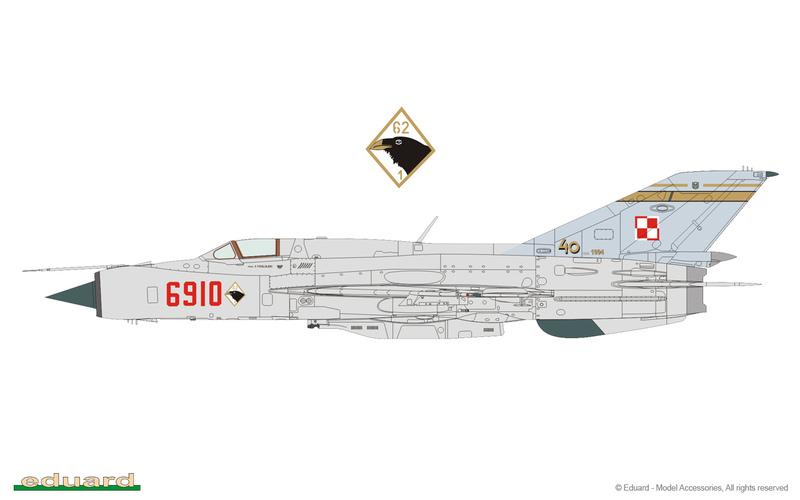 Limited edition of MiG-21PFM „Cold War Tarantula“ T-shirts.